Brendan Clarke; Ger O'Brien, Darren Dennehy (Michael Barker 64), Sean Hoare, Ian Bermingham; Conan Byrne, Lee Desmond, Graham Kelly, Billy Dennehy (Mark Timlin 80); Jamie McGrath, Christy Fagan (Rory Feely 64). Ciaran Nugent; Tobi Adebayo-Rowling, Gavin Peers (Raffaele Cretaro 68), Mick Leahy, Gary Boylan (Regan Donelon 56); Kieran Sadlier, Pat McCann, Craig Roddan, Jimmy Keohane, Liam Martin; Achille Campion. 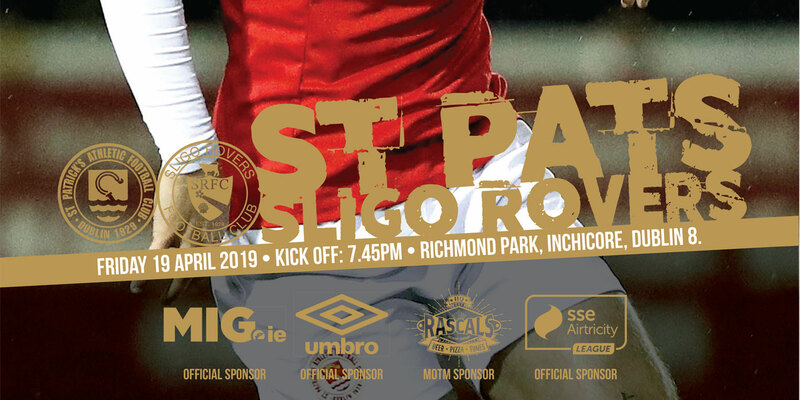 St Patrick's Athletic and Sligo Rovers played out their second draw of the season as both sides produced a scoreless but enthralling stalemate at Richmond Park. Pat's manager Liam Buckley will be left wondering might have been however as Graham Kelly spurned two excellent late chances to earn the home side the points. 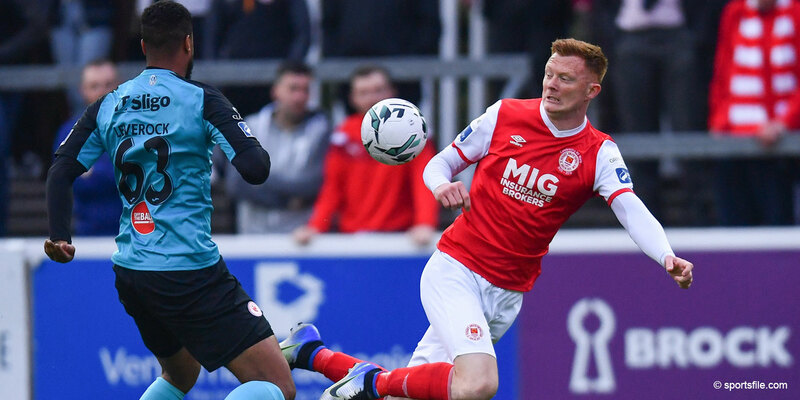 Sligo, who went into the tie without a named substitute goalkeeper for a second game in a row, put the Dublin side under some early pressure during a competitive start from both camps. Darren Dennehy did well to track the run of Pat McCann as he lurked at the far post two minutes in. Dennehy applying the pressure and forcing McCann to mis-hit his first time effort from Kieran Sadlier's cross. Sadlier was left disappointed moments later when Liam Martin's over-hit pass evaded the run of the former Irish underage international with Sadlier the last man having beaten Pat's offside trap. Darren Dennehy was first to go close for the Saints on eleven minutes as Buckley's charges settled. The Kerry man got a deft touch to a set piece from brother Billy but was unable to direct the ball inside Ciaran Nugent's back post as the ball drifted to safety. 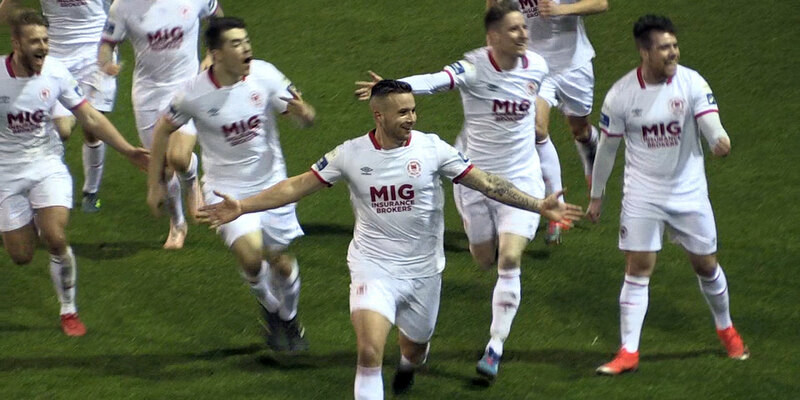 Moments later the unmarked Christy Fagan somehow managed to miss from three yards after Darren Dennehy had knocked his brother's free from the right in to the path of the striker. Billy Dennehy chipped his effort over Nugent's bar after he was slipped in by Graham Kelly on 22. Rovers' Parisian attacker Achille Campion fired the game's next chance across Brendan Clarke's goalmouth three minutes later. Nugent kept his first clean sheet for the Westerners on his second appearance for the club against Cork last weekend, but the American was however involved in an almost calamitous mix-up in front of his area on 33 minutes. Gavin Peers and Adebayo-Rowling failed to clear possession as Fagan applied the pressure, before the ball fell to Nugent who could only clear as far as Byrne who fired over from 25 yards with the Sligo net-minder committed. The second period produced a similarly pacey start, with Sadlier cutting inside and bringing a two handed save from Clarke on 47. Martin had a chance 11 minutes later but the Donegal man took too much time to in front of goal, allowing the Pat's rearguard to reorganise as he blazed. Ian Bermingham flashed his effort past the far post on 65 as the recent EA Sports Cup winners threatened for the first time in the half. Sadlier battled past Hoare and Rory Feely before flashing his own effort across the face of the goal on 69, moments before Rovers substitute Raffaele Cretaro saw his curler glide over as he aimed for the top corner. The Dubliners were offered another wonderful opportunity to open the scoring eleven minutes from time. Captain Ger O'Brien's cross was cut out by Campion who inadvertently played the ball into the path of Kelly, but the midfielder mis-fired from close range. Indeed it was Kelly once more, who was again guilty of passing up another glorious chance to capture the points in the fourth minute of added time but Nugent was on hand to produce another smart save with his legs to deny the 24-year-old.